Our HIPAA compliant locking chart racks are a perfect solution for hospitals and long term care facilities looking to secure patient information. Our locking carts are ideal for maintaining patient privacy while maximizing accessibility. Choose between our standard line with privacy doors and our exclusive Rhino-Tuff models with retractable locking panels. Contact the experts at Charts & Carts for personal assistance in determining the best privacy chart rack solution for your medical facility. 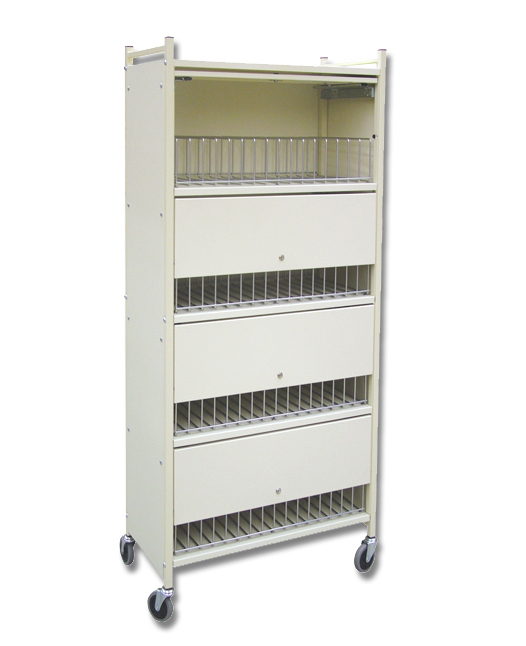 SKU # RTCR-0120L, Heavy-Duty Locking HIPAA Cart Rack - 5 Year Guarantee! SKU # RTCR-0004L, Heavy-Duty Locking HIPAA Binder Storage Cart - 5 Year Guarantee!